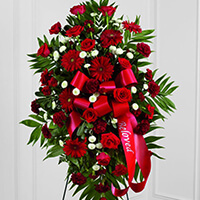 Provide comfort for the family of Siro Duran Sr. with a meaningful gesture of sympathy. 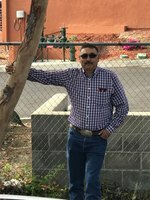 Siro Duran Sr., age 53, a resident of Los Lunas, passed away on Wednesday, March 27th, 2019. All Services will be held at San Juan Diego Catholic Church in Meadowlake. A Viewing will begin at 5:00 p.m., with a Rosary to be recited at 7:00 p.m. on Monday, April 1, 2019. A Funeral Mass will be celebrated at 12:00 a.m., on Tuesday, April 2, 2019. Interment will follow at Our Lady of Belen Memorial Gardens. 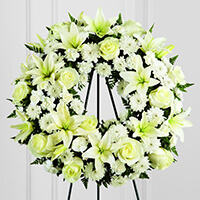 Arrangements are being handled by the caring professionals at the Noblin Funeral Service Los Lunas Chapel, 2211-D Main St., (505) 866-9992. 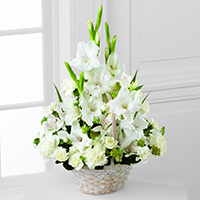 To send flowers in memory of Siro Duran Sr., please visit our Heartfelt Sympathies Store. We encourage you to share your most beloved memories of Siro here, so that the family and other loved ones can always see it. You can upload cherished photographs, or share your favorite stories, and can even comment on those shared by others. Reydecel & Lidia Marrufo , Familia Romero Parra , and others have sent flowers to the family of Siro Duran Sr..
Reydecel & Lidia Marrufo purchased the The FTD Eternal Affection Arrangement for the family of Siro Duran Sr..
Descanse en paz Siro Que Nuestro padre celestial lo reciba en sus brazos con su infinito amor...su recuerdo vivirá por siempre en nuestros corazones. Nuestro más sentido pésame. Familia Romero Parra purchased the The FTD Treasured Memories Standing Spray for the family of Siro Duran Sr..
Im so sorry to hear about your loss. My prayers go out to you and your family. Insulators Local No. 76 purchased the The FTD Treasured Tribute Wreath for the family of Siro Duran Sr..